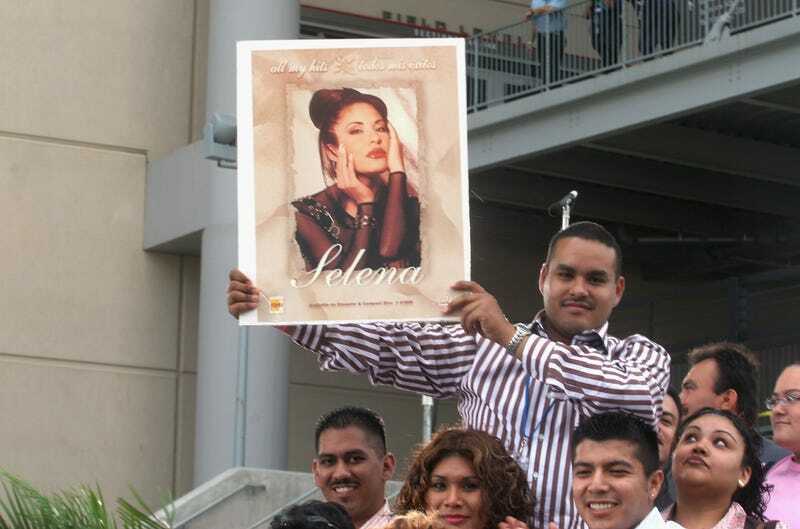 The late Selena Quintanilla-Pérez, best known as Selena, remains one of the most iconic Mexican-American performers of the last century. Along with her siblings and husband, the Texas native put forth a fiery fusion of traditional norteñas, Mexican cumbias, and early ’90s techno. She could bidi bidi her bom bom with the best of them, earning the same kind of mononymous standing as Madonna and Prince among her fans. Her rise to the top of the Tejano music charts and subsequent crossover success were chronicled in the biopic starring Jennifer Lopez as Quintanilla-Pérez, who was killed by a former employee in 1995.